Open-heel fin with elastic strap. 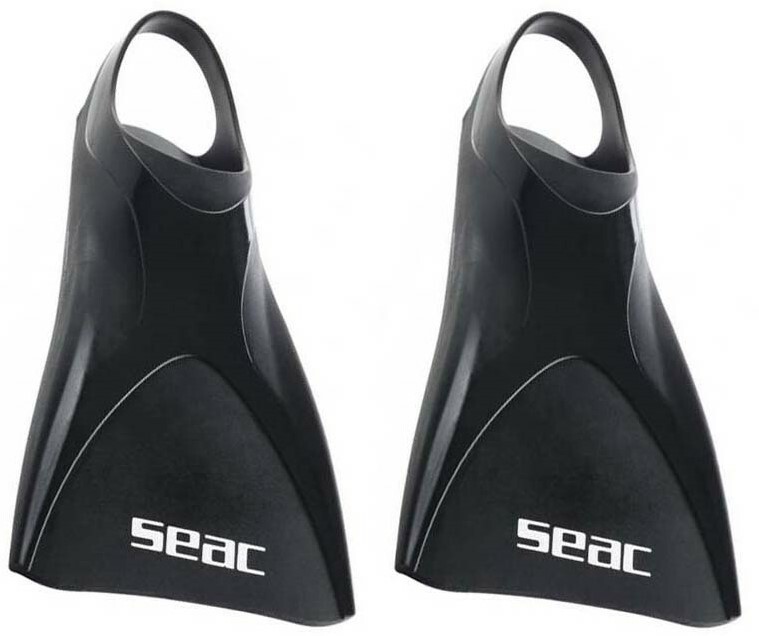 SEAC Atom Swim fins are made of very durable 100% silicone, it’s perfect for intense training sessions on leg day. The short blade 100% silicone fin offers excellent flexibility and helps keep feet below the water surface to promote shorter, faster kicking while maintaining a proper kickstroke. Ideal for open water snorkeling and for pool training. Made of 100-percent silicone for comfort, durability and excellent flexibility. 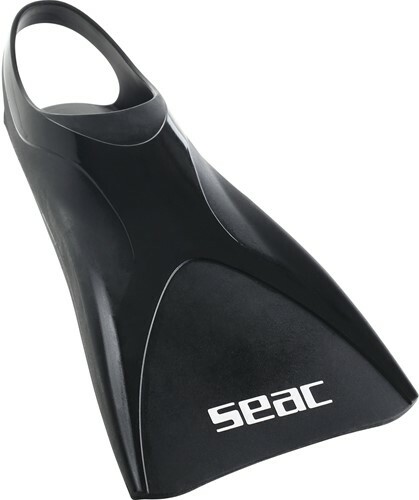 Short blade promotes shorter, faster kick and helps maintain proper kickstroke. Helps strengthen and tone leg and thigh muscles. Closed toe foot pocket with fixed heel strap for secure fit.